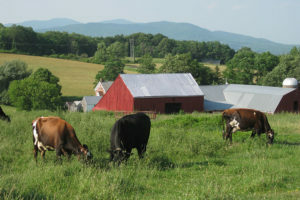 Berle Farm has a twenty year history of diversified farming. The farm has evolved to a low outside input style with a beautiful little dairy herd of 10 cows. Our organic cattle graze 400 hundred acres of pasture. We grow open pollinated, saved seed corn, oats, rye and hay, as well as, vegetables and fruit. Grass-fed 90 Excellent grazing; markets "grass fed"
Pasture 100 Over 2 acres per cow, which is a superb ratio. Extra Credit 100 This dairy produces 100% of their feed on-farm and does not purchase any non-domestic grain.